Several fundamentally important questions form the basis for this book. What are the relationships between tumour formation and tumour pH? What are the effects of tumour pH and hypoxia on carcinogenesis or tumorigenesis? What are the therapeutic consequences of tumour pH? It is hypothesised that low extracellular pH is not only an important consequence of tumour growth but may also promote further tumorigenic transformation. Furthermore, in vitro studies suggest that low pH strongly affects the efficacy of chemo- and radiotherapy. Better understanding of the influence of pH on tumour growth, coupled with manipulation of the pH of the tumour microenvironment, may lead to the development of more effective therapies. Jamie Goode is a British author with a PhD in plant biology, and a wine columnist of The Sunday Express. Goode also contributes to wine publications such as Harpers, The World of Fine Wine, Decanter, GrapesTALK and Sommelier Journal. 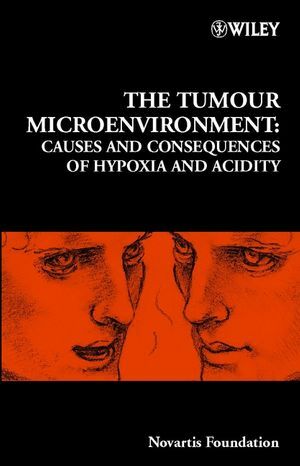 Derek J. Chadwick is the editor of The Tumour Microenvironment: Causes and Consequences of Hypoxia and Acidity, published by Wiley. Frontiers in the Measurement of Cell and Tissue pH (Robert J Gillies and Ronald M Lynch). The Physiological Environment in Cancer Vascularization, Invasion and Metastasis (Zaver M Bhujwalla et al). Why are Cancers Acidic? A Carrier-Mediated Diffusion Model for H+ Transport in the Interstitial Fluid (J R Griffiths et al). pH and Therapy of Human Cancers (Jeffrey L Evelhoch). Mathematical Models of Tumour Invasion Mediated by Transformation-Induced Alteration of Microenvironmental pH (Robert A Gatenby and Edward T Gawlinski). pH Regulation of Renal Gene Expression (Norman P Curthoys et al)). Genetic Determinants that influence Hypoxia-Induced Apoptosis (Rodolfo M Alarcon et al). Genomic Instability in Cancer (Sara Rockwell et al). pH, Hypoxia and Metastasis (R P Hill et al). Modelling Tumour Acidity and Invasion (Steven D Webb et al). pH, Aerobic Glycolysis and Vascular Endothelial Growth Factor in Tumour Growth (Jacques Pouyssé gur et al). pH and Chemotherapy (Natarajan Raghunand). The HIF Pathway: Implications for Patterns of Gene Expression in Cancer (Charles C Wykoff et al). pH and Multidrug Resistance (Paul D Roepe). 'The Metabolism of Tumours' 70 Years Later (Gregg L Semenza et al). The Multiple Mechanisms of Multidrug Resistance and Cellular pH (Sanford Simon). Summing Up (Robert J Gillies).